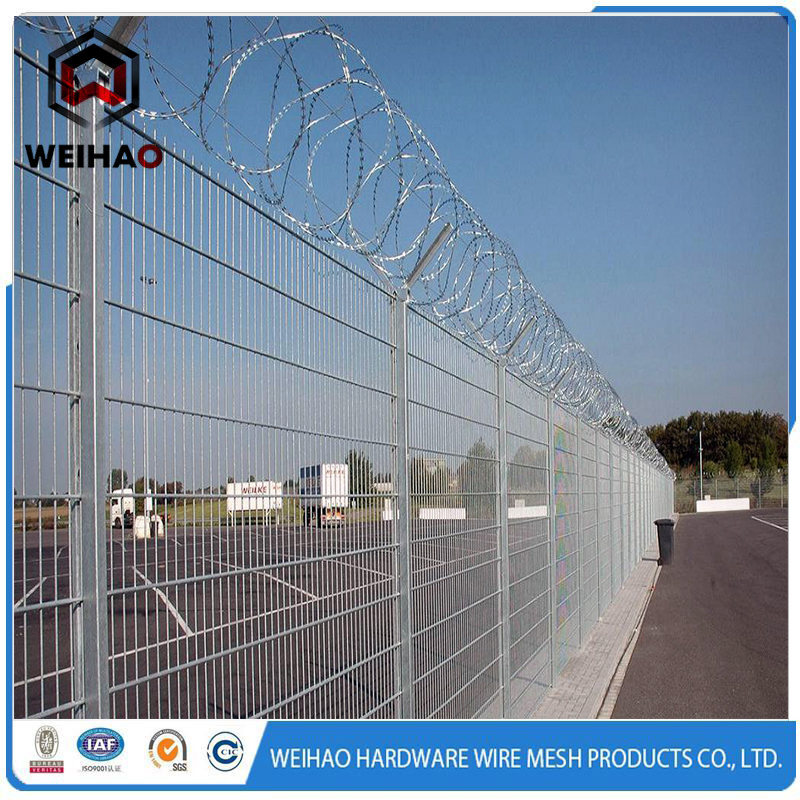 Razor wire is a kind of modern security fencing materials fabricated with razor-sharp steel blade and high-tensile wire. Barbed Tape can be installed to achieve the result of frightening and stopping to the aggressive perimeter intruders, with piecing and cutting razor blades mounted at the top of the wall, also the special designs making climbing and touching extremely difficult. The wire and strip are galvanized to prevent corrosion. 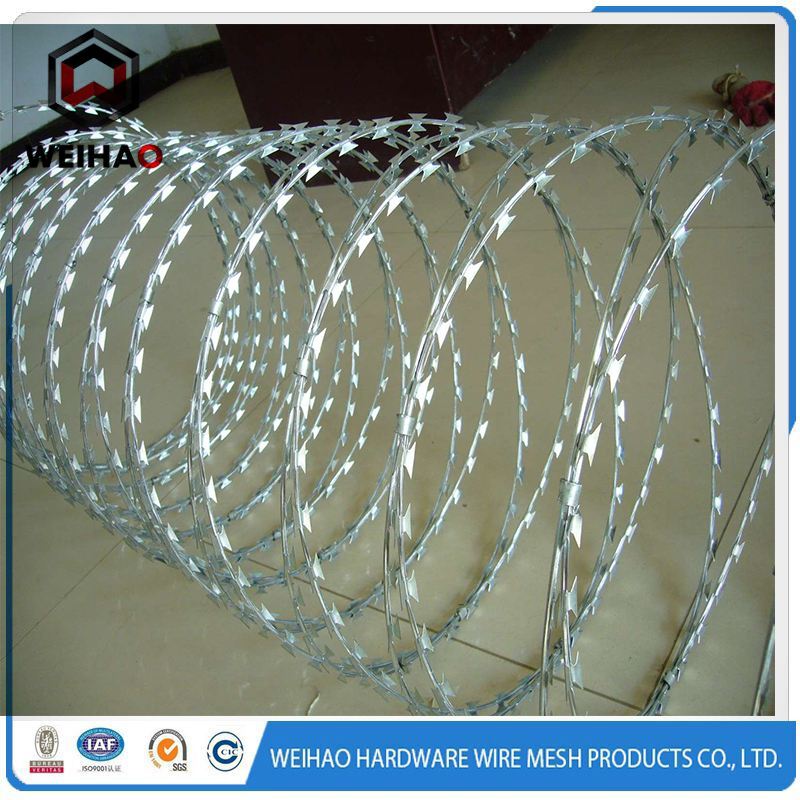 Other name : Razor bared wire, plastic Barbed Wire, barbed wire, Hot dip galvanized razor wire, razor edge barbed wire, razor wire cbt-60, spiral Razor Barbed Wire, plastic razor wire, razor barbed wire netting, razor barbed Iron Wire Mesh, green razor barbed wire, Concertina Razor Barbed Wire. 1. 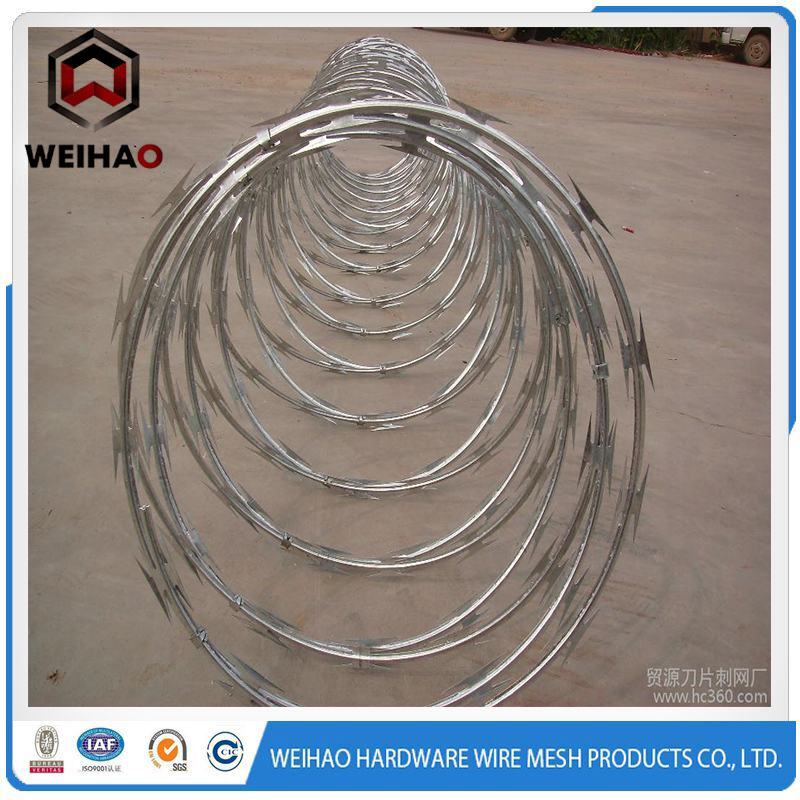 Materials: Galvanized Iron Wire, PVC coated wire, Stainless Steel Wire and stainless steel sheet. 2. Blade Type: BTO-12; BTO-18; BTO-22; CBT-60; CBT-65. 7. Process and Features: Galvanized steel plate or stainless steel plate punched into certain forms then attached to the steel wire in sharp angle to form the blades.The products offer beautiful appearance, economic cost, good frightening result and easy installation. Sharp blades coming in the form of concertina by buckles bring very good result of frightening and stopping to the aggressive perimeter intruders. 8. Applications: widely used in military field, prisons, detention houses, government buildings and other national security facilities. Also fencing of residences, villa wall and windows, express way, railway, national border lines, etc. 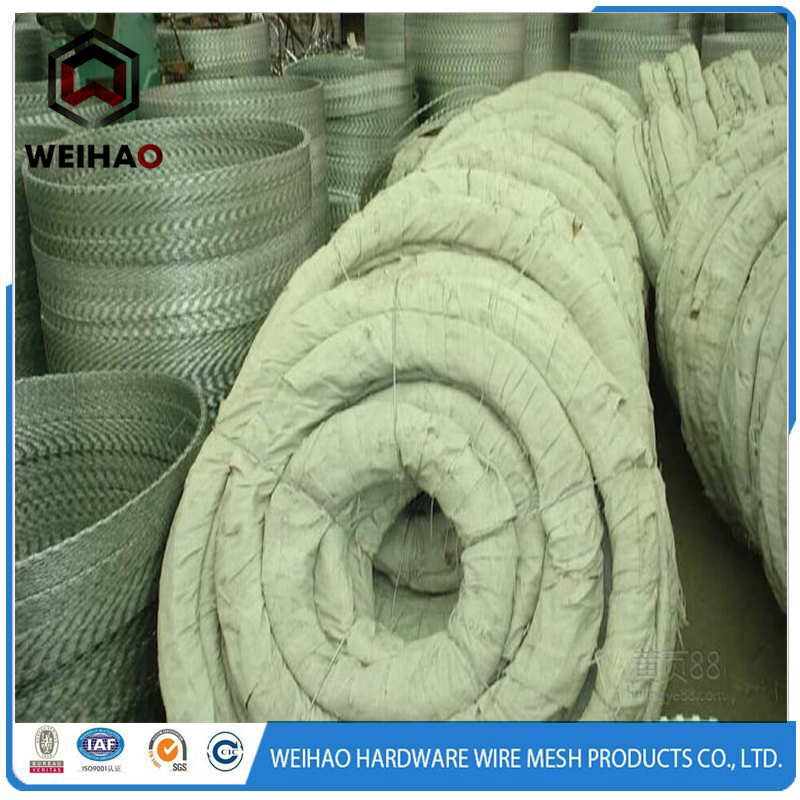 Standard materials are Galvanized Wire and stainless steel sheet. 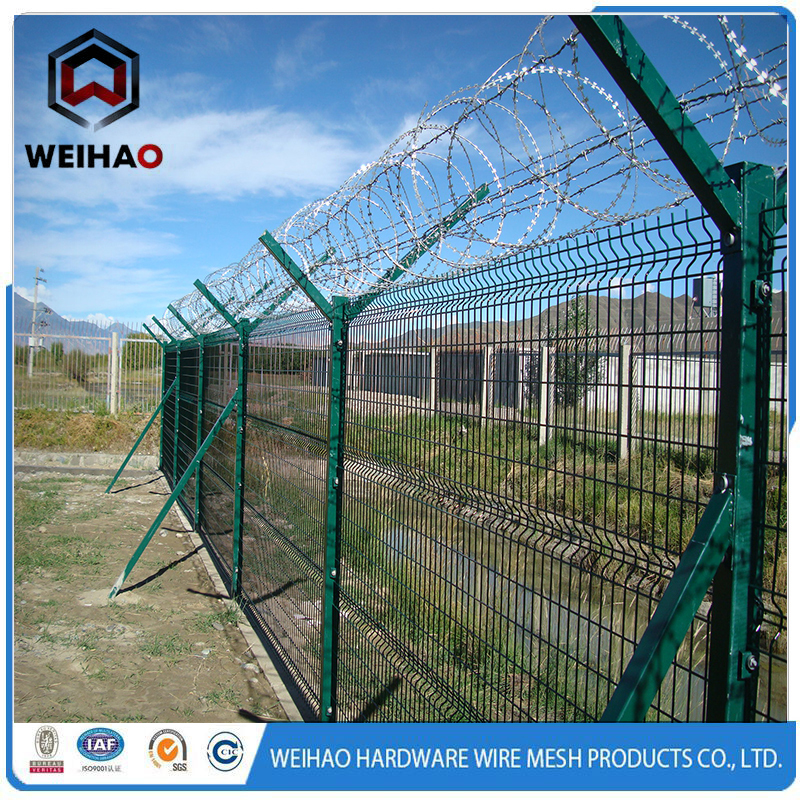 Looking for ideal Wall Top Razor Barbed Wire Manufacturer & supplier ? We have a wide selection at great prices to help you get creative. 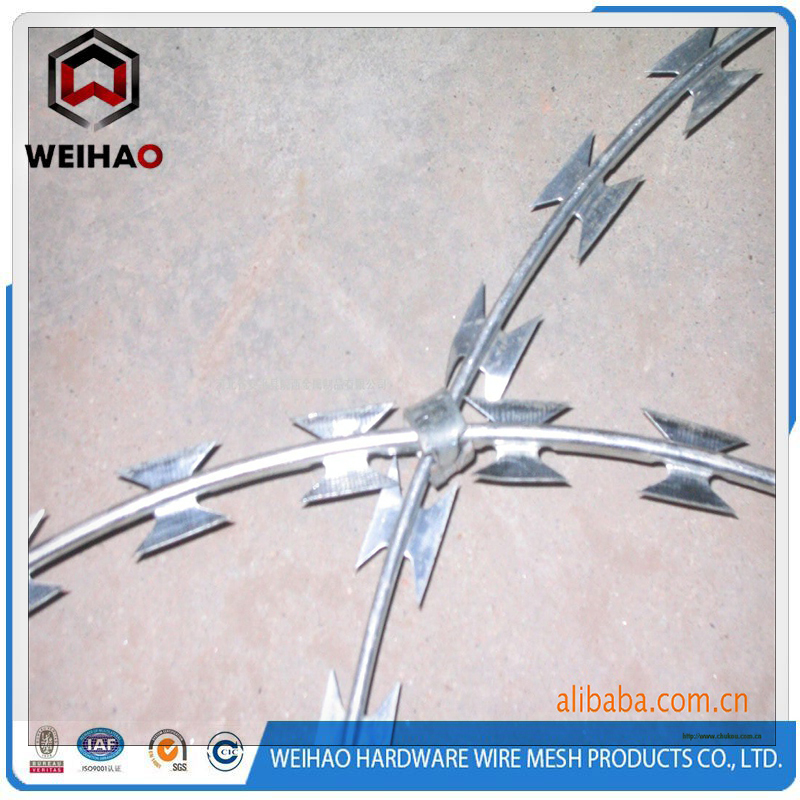 All the Shivery Barbed Wire are quality guaranteed. 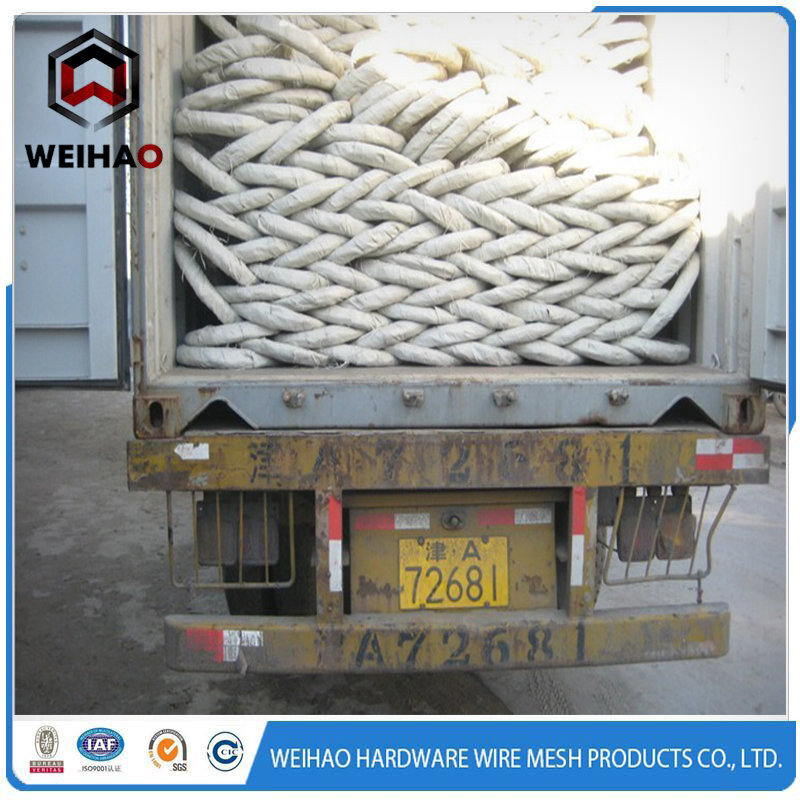 We are China Origin Factory of Wall Top Wire. If you have any question, please feel free to contact us.